Pianist Yu Xi Wang is on the faculty at the Curtis Institute of Music where she teaches Core Studies, Supplementary Piano, and Keyboard Studies. 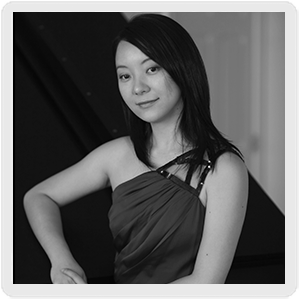 Prior to her 2013 appointment at Curtis, Ms. Wang taught piano at Music Institute of Chicago, Settlement Music School, and Saint Joseph’s University. Equally experienced in the classroom, she is a former faculty member of The Juilliard School where she taught Ear-Training for many years. As a teacher, Ms. Wang is actively involved in the local MTNA chapter. Her students have performed in Weill Recital Hall, Rock Hall and the Kimmel Center, and have performed in masterclasses with Ann Schein, Min Kwon, and Daniel Epstein. Her interest in community outreach has led her to conduct masterclasses and workshops with local students from Washington Township High School and Burlington County Community College. A dynamic recitalist and chamber musician, Ms. Wang has performed in Alice Tully Hall and the Jay Sharp Theatre in Lincoln Center, Chicago’s Nichols Concert Hall, Beijing’s Forbidden City Concert Hall, as well as venues in Aspen, Las Vegas, Japan, and Singapore. She made her Carnegie Hall Weill Recital Hall debut in 2002 as the winner of Artist International Competition, and released her CD in the same year under the Chinese label JSCP. Ms. Wang holds a BM, MM, and DMA from The Juilliard School where she studied with pianists Herbert Stessin, Jerome Lowenthal, and Julian Martin.